We found 7 episodes of More Than Just Code podcast - iOS and Swift development, news and advice with the tag “mac pro”. Episode 190: Test Is Green. Code Is Clean. This week we follow up on Youtube changes, IBM Watson and CoreML, 3rd party Twitter apps. We discuss Xcode compilation on mutli-core Mac Pros. The Home Pod has a sluggish start in sales. Apple reveals the (Product)RED® iPhone 8. Apple Music has 40 million users and a new boss. We follow up on HTTP 400 error codes. We discuss Apple upcoming purge of 32-bit macOS apps, reliving Windows File manager and the RWDevCon 2018's post mortem. Picks: Understanding Git Version Control and Learn how to Use it in Xcode 9, Xcode TDD keyboard short cuts, App Store insights. Aftershow: Facebook testimony. 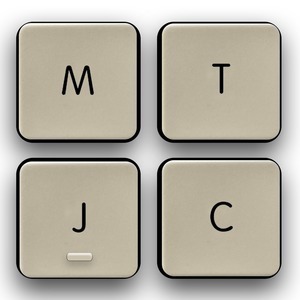 This week Tammy Coron joins Mark & Tim, as we discuss iOS 10.3 issues from #askMTJC. We follow up on Swift access control, RWDevcon 2017 and the pending Mac Pro refresh. We also talk about the effects of Apple's upcoming GPU and its impact on suppliers and Metal's future. Picks: TED Talk - "Please, please, people. Let's put the 'awe' back in 'awesome'", MultiTimer and "RXSwift - Reactive Programming in Swift" book.